RALENO - The closest light to the sun's rays, help you to capture the most real picture. Is an essential photographic equipment for you to become a professional photographer. Package list: softbox reflector with light stand x2 material: high quality nylon size: 20 "x 28" large soft box color: black / silver out / in silver interior: maximize to reduce the light loss and improve light transmission 2 x 76 "high studio quality high output umbrella flash light shelf 2 x light bulb 85W CFL 5500K daylight balance pure white light 1 x Convenient carrying case 85W digital CFL light bulb x2 Style: Spiral Color temperature: 5500K white light Watts: 85W - equivalent to 800W ordinary incandescent bulb output Voltage: 110V 50HZ Lamp holder: E27 RALENO photography soft box set is committed to provide photographers with the most perfect photographic equipment. The cable is 90'' long, which allows you to move it around your studio. 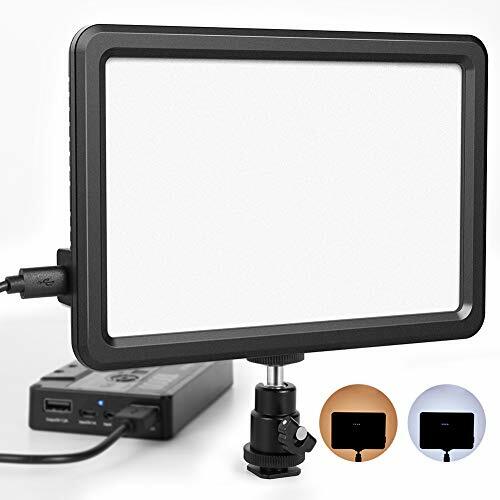 Foldable, portable sofxbox: this photography lighting kit includes a 2X fold to 27'' and an expandable to 80'' adjustable light stand with a 1/4" standard threaded tip, made of aluminum alloy that is durable and foldable for easy portability. RALENO Softbox Photography Lighting Kit 20"X28" Photography Continuous Lighting System Photo Studio Equipment with 2pcs E27 Socket 5500K Bulb Photo Model Portraits Shooting Box - Adjustable softbox head 210 degree adjustable lamp holder, photography, setting-easy with a few minutes, ideal portrait, can adapt different shooting needs, studio, give you the suitable light from multiple angles, video and so on. Essential photography accessories: this professional softbox studio lighting is ideal for portraits, formal weddings, product photography, and almost any other human body shot, editing shots, supporting daylight and nighttime lighting in different situations. Saves energy up to 80%, 85W, service life more than 8000 hours. What you get:【2】20"x28" softbox window +【2】e27 85w 5500k cfl bulbs +【2】27"-80" height adjustable light stand +【1】Carrying bag; RALENO worry-free 12 months warranty and life-time customer service, especially the bulb has any problem during this period, if your product, please feel free to conatct us. RALENO - Soft light, unlike traditional lamp beads, news interviews, not to hurt the eyes】advanced soft light board design, the light will not puncture your eyes. Video light innovative lighting guide: soft light board for diffusing lightraleno is committed to developing lights that allow children to stay longer without damaging their eyeswe use the energy-saving 104 SMD LED beads are placed around the 4 inner edges of the panelThe light be reflected by the transparent acrylic to the special white panel in the middle, so the light will be softer and evenly spreadedCurrently latest design: Built-in 5000mAh battery We believe that the most practical design of the camera light is that you don't need to carry extra batteries that you may have forgotten So we have the latest design of 2018 video light: Built-in 5000mAh battery That can be powered by portable devices such as mobile power supplies, car chargers, and notebooks to meet the needs of anytime fill light. Ideal for wedding photography, children's photography. 3200k-6500k adjustable, to give the most satisfactory fill light source. Meanwhile, cri 95+】 cold and warm bi-color temperature stepless adjustment, the index of the true color of the restored object reaches 95+. Recharge anytime anywhere】including usb cable, laptop, you can use the charging treasure, car charger to charge, you can work for you at any time. RALENO Softbox Photography Lighting Kit 20"X28" Photography Continuous Lighting System Photo Studio Equipment with 2pcs E27 Socket 5500K Bulb Photo Model Portraits Shooting Box - Accessories and services】video light, usb charging cable, hot shoe head, and instruction manual are included in one box. Raleno promises 12 months free warranty, we will reply to all your questions within 24H. Light fixture weight: 312g number of leds: 104 Quantity of illumnation: 1000lux Power consumption: 14WMaximum Size: 6. Cheaplights 45HDC6 - Heavy duty Muslin Clamps 4. 5 inch long with a 2 inch maximum mouth opening. 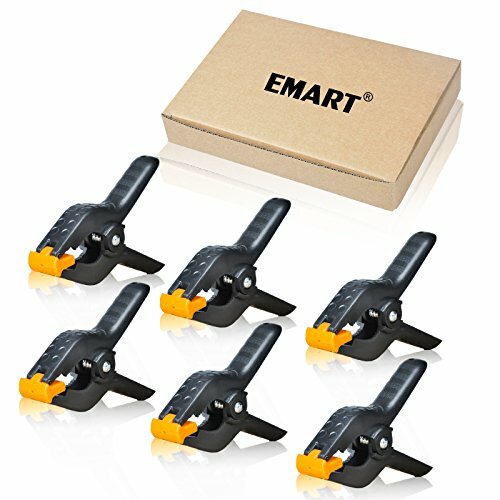 Pack of 6 clamps. 2 inch mouth opening maximum. Heavy duty muslin Clamps 4. 5 inch long. Pack of 6. Very strong to fit most stands. Elviros 4332045804 - Perfect for shooting jelwery, etc. Durable and washable featuring water-proof surface. Compatible with a variety of mediums. Package includes:1 x background paper24''x43'' Professional quality, fine tooth non-reflecting surface available in an array of vibrant colors. Fine scrub pvc background papaerboard, tuffed toys, leather products, non reflective. If you are looking for a photo background paper for your shooting tent, this will definitely be the perfect one!Professional quality, fine tooth non-reflecting surface available in an array of vibrant colors. Ideal for photo background, product shots for internet display or sales, display banners, drafting and decorations. RALENO Softbox Photography Lighting Kit 20"X28" Photography Continuous Lighting System Photo Studio Equipment with 2pcs E27 Socket 5500K Bulb Photo Model Portraits Shooting Box - Ideal for photo background, product shots for internet display or sales, display banners, drafting and decorations. Size: 24x43in60x110cm; color: White; Quantity: 1 pc. Works perfectly with elviros 24'' photo lighting Studio Shooting Tent Kit: http://www. Amazon. Com/dp/b00whx1LFG. Edestiny PBM8512-50 - They are 100% light weight and ad no cost to your shipping destination. Remove strip and close. You can count on these envelopes to not only close securely, but to also protect your valuable shipment from inclement weather and excessive moistures. White poly bubble mailers #2 8. 5x12 inches with 3/16” bubble cushioned wraps help ship your products to customers in a safe packaged mailer. Peel-and-seal strip is quick and easy to use. This mailer provides outstanding storage and shipping protection against water, snow and dirt. Material - these poly bubble mailers are made out of polypropylene material, 3/16" bubble cushioning wraps to help keep objects safe in shipping. Lined with thick, bubbles, yet airy, these mailers embrace your items in a safe cushion of air and plastic, ensuring their safe arrival at their definition. RALENO Softbox Photography Lighting Kit 20"X28" Photography Continuous Lighting System Photo Studio Equipment with 2pcs E27 Socket 5500K Bulb Photo Model Portraits Shooting Box - Whether you’re shipping crafts to customers or gifts to family and friends, our high quality bubble bags make an excellent package that allows you to send your items with confidence and ease. Once the envelope has been sealed, it cannot be opened without visible signs of tampering. Water-resistant and tear-proof mailer protects delicate products. Order your supply of these poly bubble mailers today to avail our quick shipping policy. Puncture, tamper and water resistant providing extra security for item being shipped. 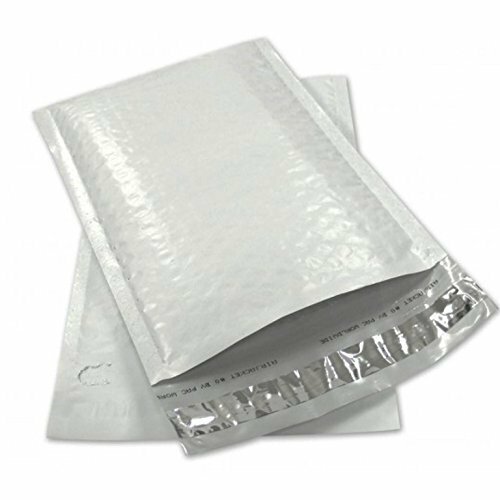 50 6x10 Poly Bubble Mailers Padded Envelope Shipping Bags Usable 6"x10"
Emartinc - Specifications: 4. 5 inches long 3/4" x 5/8" rugged, pivoting pads Package Size: 7. 5 x 7. 5 x 2 inches Weight: 8. 8 oz maximum opening: 2 inch mouthMaterial: Nylon package include : 6 x Spring backdrop clamp 6x photography heavy duty muslin clamps. Combine ergonomic with advanced technology to provide comfortable grip to you. Strong and reliable. 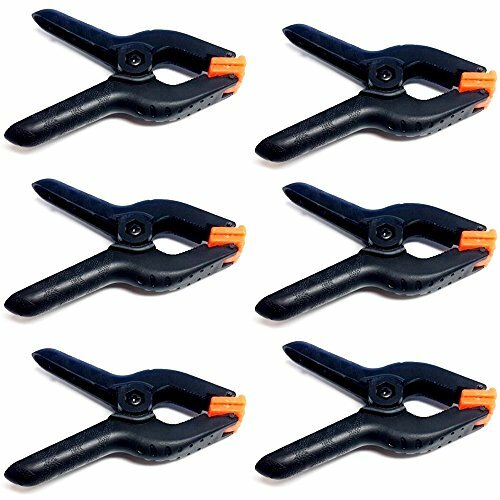 With 2 inch opening, artwork, woodworking, garage/home, these clamps are excellent for photography, and anywhere you may need a top-quality plastic spring clamp. Even use the clamps for a long time, they will not break down. Light, strong and reliable. 3. 1 inch x 4. 5 inch. 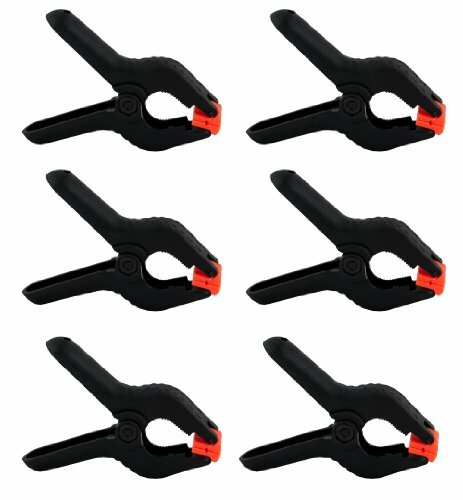 Their strong spring and light package make these clamps very easy to use and tough enough to work with. RALENO Softbox Photography Lighting Kit 20"X28" Photography Continuous Lighting System Photo Studio Equipment with 2pcs E27 Socket 5500K Bulb Photo Model Portraits Shooting Box - Toothed area below jaw ends can be used to hold round objects, and pivoting jaws hold irregular items. The clamps can be used to hang paper/plastic/non-woven backdrops and so on. Strong spring and the rough surface enable itself to clamp anything onto the stand tightly. Features: moveable teeth help you to clip the backdrop in any direction. Savage FBA_120201-EU - The 53" wide x 12yd size works well for headshots and up to 3/4 body shots. Professional quality, non-reflective surface available in an array of vibrant colors and sizes. Paper is attached and wound on a sturdy cardboard core that measures 2. 125" inside diameter. Vertical storage of the roll is recommended to prevent any sag of the core over time. 100% recyclable. 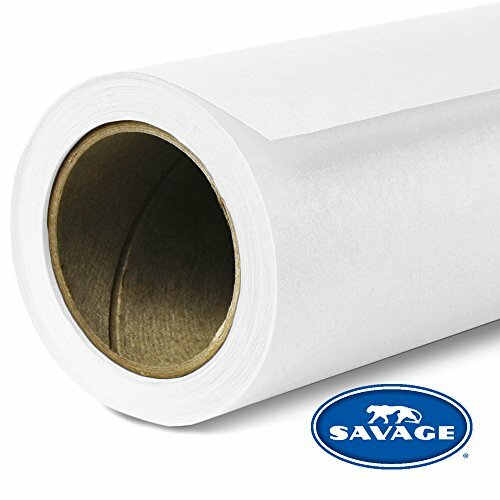 Savage seamless background Paper is the industry standard for producing smooth, even backgrounds for photo and video use. Acid-free material. 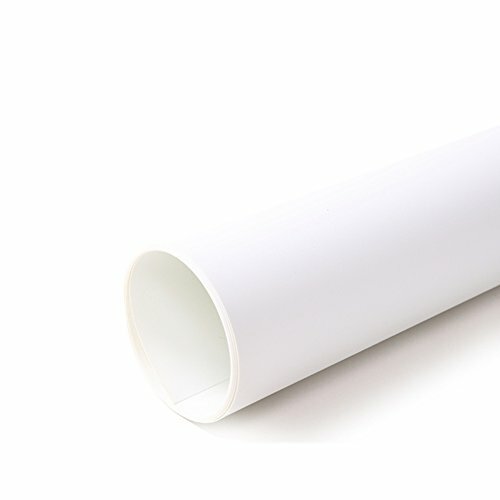 It's easy to use, just unroll what you need! If the end of the paper gets torn or dirty after a photo shoot, the used portion can be cut off and recycled. RALENO Softbox Photography Lighting Kit 20"X28" Photography Continuous Lighting System Photo Studio Equipment with 2pcs E27 Socket 5500K Bulb Photo Model Portraits Shooting Box - Savage super white seamless paper provides a high-quality, fine-tooth feel that's ideal for creating smooth and even backgrounds for portraits, product photography, commercial photography, non-reflecting surface with an exquisite, video and interviews, and much more. Made in the USA. 53 inches wide x 12 yards long. Etekcity 711811360329 - Purchase with trust and confidence; 1 year warranty included by Etekcity. Collapse disc into a portable size for travel or storage, best for photographers on the go. It is black, white, gold, silver and translucent surfaces you can always get the effect you like. They are the most popular reflector in photograph and has necessary for studio or outdoor photography. Specifications: It packs into a zip packet. Includes durable, long-lasting zippered carrying case. 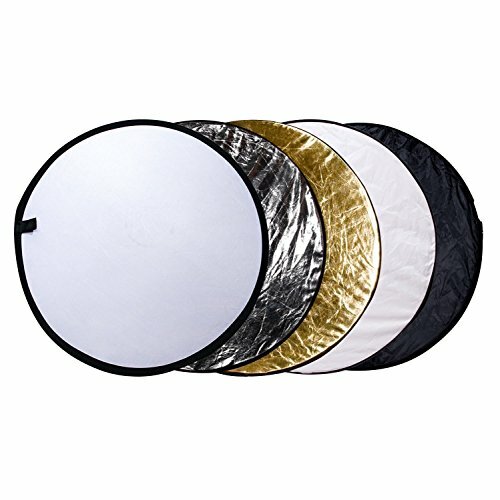 Folds into 10" carry pouch for you to easy carry shape: roun size : 24" 60cm surfaces: gold, Silver, Black and Translucent Package Included: 1 x Disc Reflector 1 x Zipped round carrying bag 5-in-1 lightweight kit: Gold, Silver, White, White, Black and Translucent. RALENO Softbox Photography Lighting Kit 20"X28" Photography Continuous Lighting System Photo Studio Equipment with 2pcs E27 Socket 5500K Bulb Photo Model Portraits Shooting Box - Gold: warm up the picture; silver: brighten the picture; White: bounce light into shadows; Black: block out unwanted light. Descriptions this reflector comes with five different reflective surfaces for all of your lighting needs. LimoStudio VAGG1242 - Multi functional: Photo Studio / Woodwork / Artwork. 2 inch Opening Jaw. 3. 75 inch Long. Rounded Handle for Comfortable Grip. Contents: 6 pcs Backdrop Support Spring Clamp. Backdrop support spring clampthis highly multi-functional heavy duty studio clamp is suitable forphotography, crafting, artwork, woodwork, or anywhere you need. It especially has movable teeth that adjust to the clamping surfacefor better and sturdy grip. Features:3. 75 inch longheavy duty nylon material & constructionrounded handle for Easy & Comfortable GripStrong 2-inch Jaw Opening to Fit Most Standard Size StandsWorks for Background Muslin, Paper, Canvas, and etc. 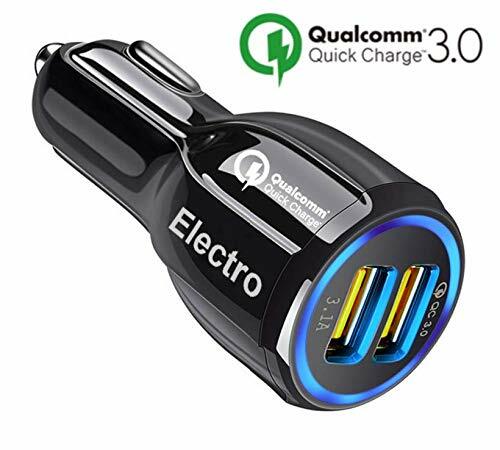 Electro Boost 2018 - Universal car charger that works with any device that is compatible, #1 has Quick Charge if your device supports it, #2 port has ElectroPower which will charge your device 2. 5x faster at 3. 1a a complete best buy for the Power and the Price. Design made to be stylish, sleek, compact, efficient and Built With led Light For Easy To Find Use At Night. Warranty 110% satisfaction guaranteed, if for any reason you Are Not Satisfied With our Product Please Contact Our Customer Support Which is in Reach 24/7 and 365 days. Smart intelligent chip will find the most efficient way To Charge Your Electronic Device and Will Not Output More Curent To keep Your Devices Safe and Charged. RALENO Softbox Photography Lighting Kit 20"X28" Photography Continuous Lighting System Photo Studio Equipment with 2pcs E27 Socket 5500K Bulb Photo Model Portraits Shooting Box - Powerful qualcomm Quick Charge 3. 0 compatible on port 1 which charges up to 4x faster than normal chargers, That Super Fast Charge When Your On The Go and You Dont Have The Time For Just Normal, Port 2 is Equipped with ElectroPower 3. 1a which can Charger up to 2. 5x faster than normal chargers efficiency our car charger can easily charge 2 devices on the go fast and is compatible with any usb port, sleek, compact, efficient without sacrificing the power smart intelligent chip will find the most efficient Way To Charge Your Electronic Device and Will Not Output More Curent To keep Your Devices Safe and Charged DESIGN Made To Be Stylish, Efficient and Built With led Light For Easy To Find Use At Night Warranty 110% Satisfaction Guaranteed, If For Any Reason You Are Not Satisfied With our Product Please Contact Our Customer Support Which is in Reach 24/7 and 365 days Powerful qualcomm quick charge 3. 0 compatible on port 1 which charges up to 4x faster than normal chargers, that Super Fast Charge When Your On The Go and You Dont Have The Time For Just Normal, Port 2 is Equipped with ElectroPower 3. 1a which can Charger up to 2. AmazonBasics WT3540 - An amazon Brand. Compatible with most video cameras, GoPro devices, digital cameras, still cameras, smartphone adapters not included, and scopes. Recommended max load weight is 6. 6 lbs 3kg for optimal performance. 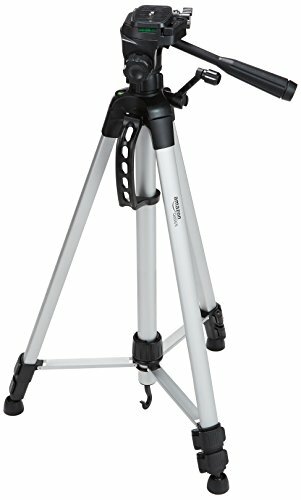 Deluxe lightweight tripod from AmazonBasics. Quick-release mounting plate helps ensure fast transitions between shots. Two built-in bubble view levels and 3-way head to allow for tilt and swivel motion; portrait or landscape options. Weighs 3 lbs; extends from 25 inches to 60 inches when center post is fully extended; Carrying case included. Lightweight tripod with adjustable-height legs and rubber feet.